Hey Birmingham, it’s good to be here. April is National Autism Awareness month! 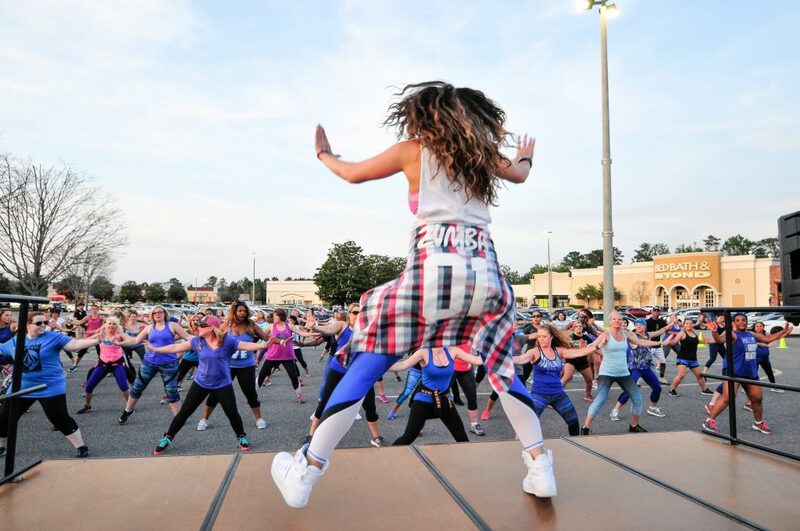 On Friday, April 26th, Athleta and The Summit are hosting it’s 3rd annual Zumba Block Party to support. DJ Michael Warren will be dropping the beats, while Megan Zema Collier will be bringing the moves, and you will be helping to impact lives right here in Alabama. The event will be outside at The Summit in the parking lot close to Athleta and Swoozie’s. A $10 donation will get you in and your energy will keep you moving! A $10 donation will get you in and your energy will keep you moving! This is a donations to help support the Autism Society of Alabama. Wear your blue in support! After the fitness experience, be sure to check out Athleta’s After-Party in-store! Bring your friends, bring your spouse, bring your Zumba bestie and help raise money for Autism Awareness!